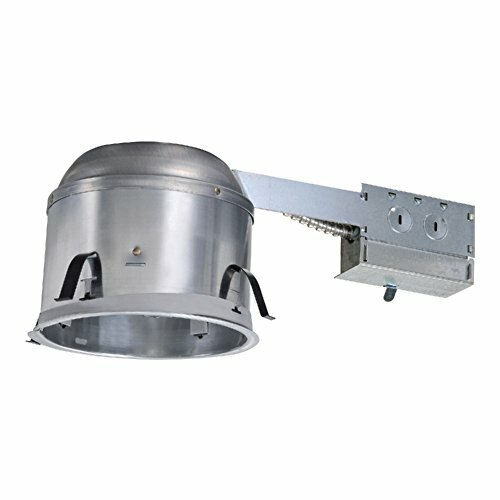 The Halo Recessed H36TAT is a Non-IC AIR-TITE fixture for use with H3 3-Inch series trims. Housing is AIR-TITE rated to prevent airflow between heated or air conditioned spaces and unconditioned attic areas. 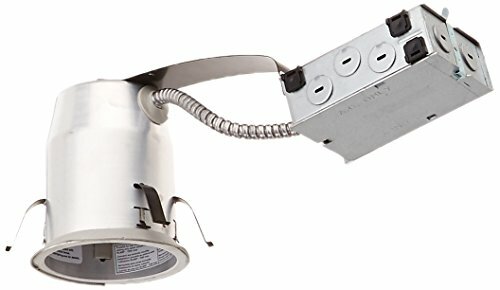 for use with 120-Volt GU10 lamps. Non-IC Housing is AIR-TITE but insulation must be kept 3-Inch away from all sides of housing. 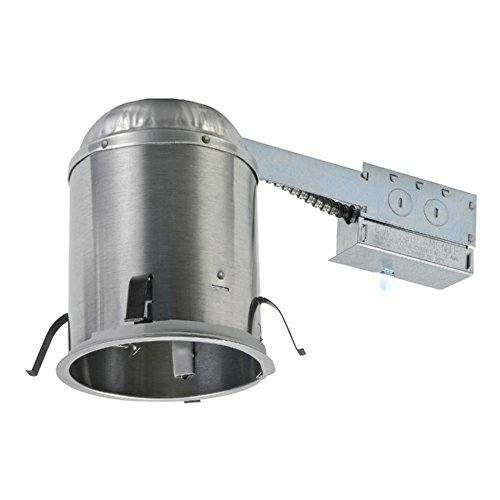 The H27RICAT housing is designed for remodeling use in shallow ceilings where 2 in. x 6 in. joist construction is used. The wide variety of trims available allows a number of different lighting effects to be created with one basic housing. The H27RICAT is designed for installations where the housing will be in direct contact with air permeable insulation. 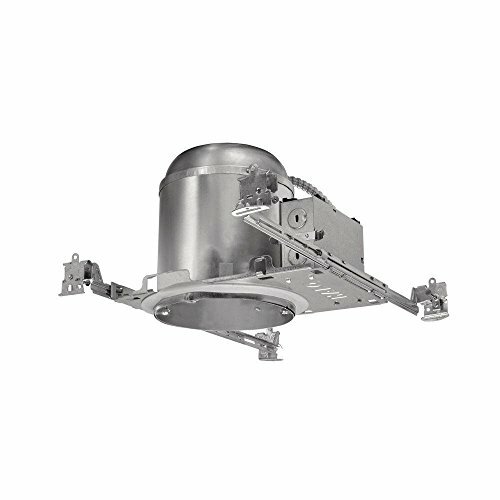 The E27ICAT is a compact and efficient shallow recessed remodel housing optimized and listed for EISA Compliant tungsten-halogen lamps, as well as incandescent, CFL and LED lamps. Housing is suitable for residential or light commercial shallow ceiling applications. For installation in insulated ceilings and non-insulated ceilings with airtight code Compliant construction. Use with a variety of trims and finishes to create different lighting effects or to match any decor. may be retrofit with compatible Halo LED lighting systems. The air-tite Halo 5 In. Remodel housing features an air-tite design to prevent airflow between the attic and living areas in your home. This remodel housing can be covered by insulation and is compatible with Halo trims. Available in a contemporary 5 In. Aperture. This Halo LED remodel housing may be used with Halo LED module ML706830 and Halo LED trims. The Halo LED Collection offers the widest selection of performance-designed recessed LED down lights. With Halo the benefits of LED technology are fully realized for general lighting applications. Excellent color rendering and superior optical design with smooth beam distribution. Use the H750RICAT for remodel applications. This item is also air-tite and saves energy by restricting airflow from living spaces to unconditioned attic or plenum. 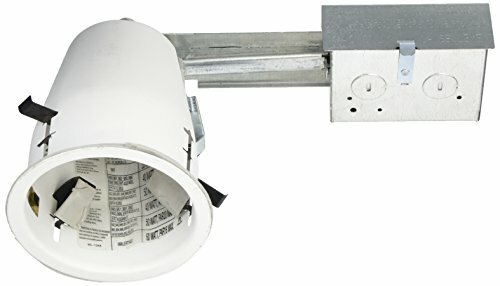 Halo Recessed H995RICAT-6PK LED Remodel Housing IC Air-Tite Shallow Ceiling 120V Line Voltage (6 Pack), 4"
Halo Recessed H750ICAT-6PK LED Housing, IC Air-Tite, for listed LED Modules (6 Pack), 6"
The h750icat is a dedicated led new construction housing for use with halo H7 collection 600 series and 900 series led modules. 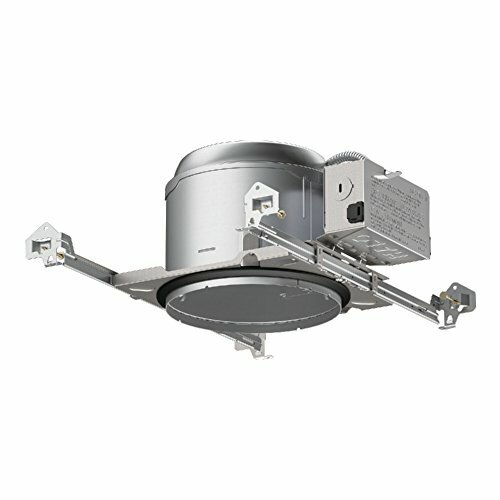 The h750icat is designed for insulated ceilings and can be in direct contact with ceiling insulation. this air-tite housing design prevents airflow between attic and living areas and saves on both heating and air conditioning costs. The h750icat connector system provides high efficacy code compliance when used with halo H7 collection led modules. 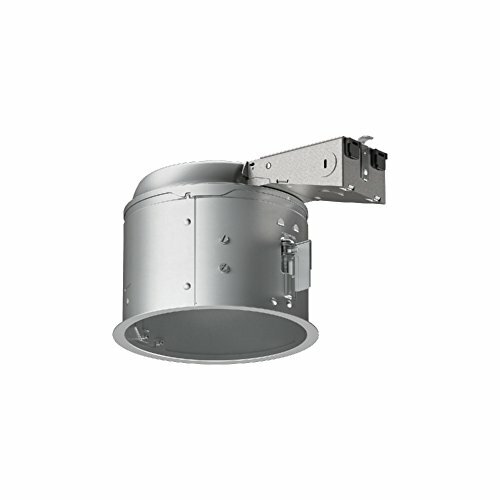 The E27RICAT is a compact and efficient shallow recessed remodel housing optimized and listed for EISA Compliant tungsten-halogen lamps, as well as incandescent, CFL and LED lamps. Housing is suitable for residential or light commercial shallow ceiling applications. 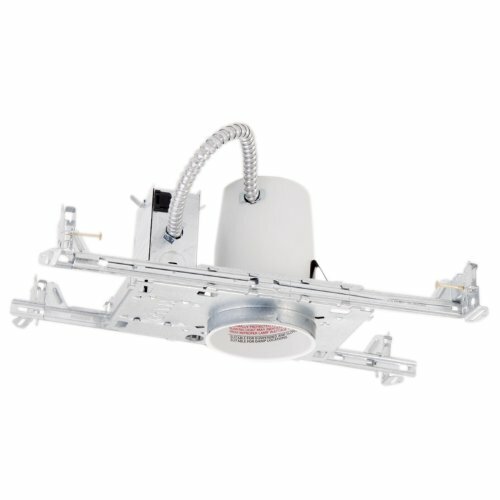 For installation in insulated ceilings and non-insulated ceilings with airtight code Compliant construction. Use with a variety of trims and finishes to create different lighting effects or to match any decor. may be retrofit with compatible Halo LED lighting systems. 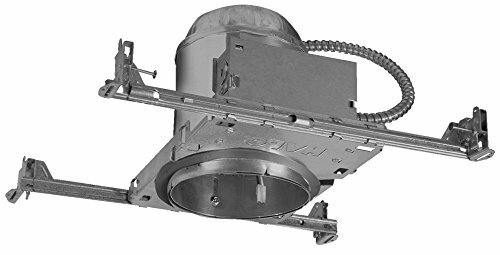 The Halo H550ICAT is a dedicated 5-inch aperture LED new construction IC, AIR-TITE housing for use with Halo RL56 and RL7 LED retrofit modules and ML56 LED Down lighting System of LED Light Modules and LED Trims. H550ICAT is designed for use in insulated ceilings where it will be in direct contact with insulation. It is an AIR-TITE, certified ASTM-E283 housing designed to prevent air flow between occupied spaces and unconditioned areas. 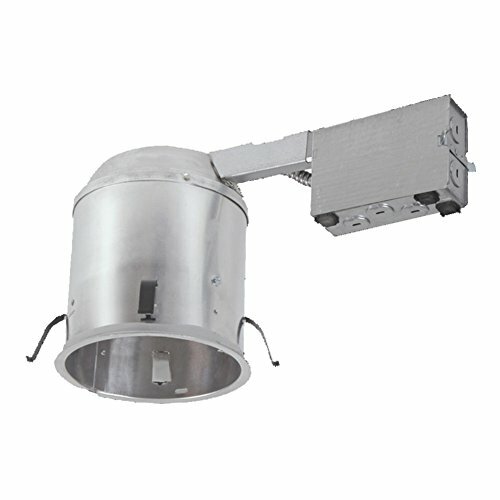 The LED connection is non-screw base to preserve the high efficacy rating of the luminaire as used with the compatible Halo or All-Pro LED modules, lighting engines and trims. Copyright © Wholesalion.com 2019 - The Best Prices On Airtite Recessed Housing Online.